When it comes to bedroom design, we are all looking for something special. Our bedroom is the most private space of our home, that one last bastion of privacy which you can escape to, even if your personal space in the rest of the house has been compromised. 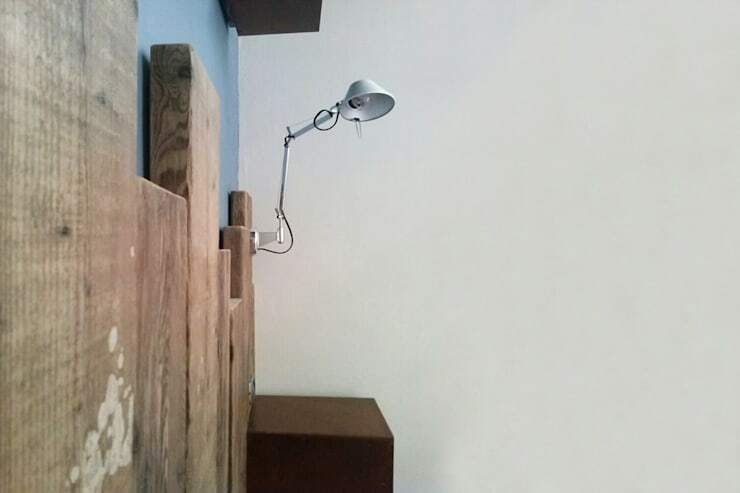 It is also the room which reflects the most of our individual personality, the one place where you can express your passions and personal tastes without restriction. It comes as no surprise then, that you would want to furnish and decorate your bedroom with utmost care and ensure a comfortable and aesthetically pleasing space. 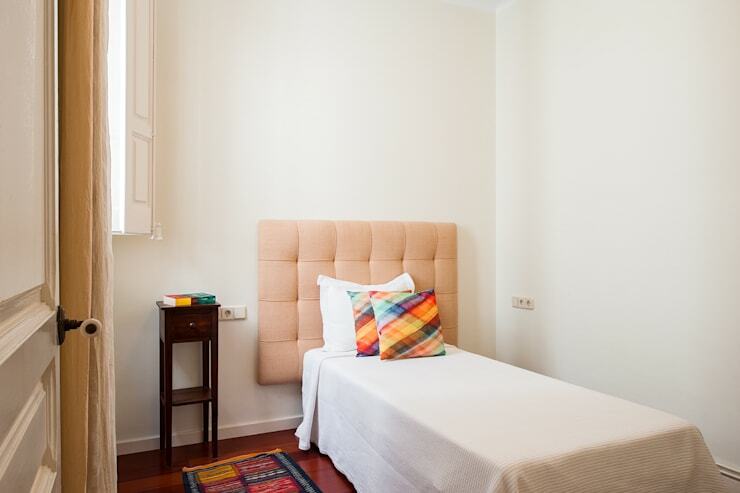 One of the ways you can do this is by adding a headboard to your bed—a feature which comes in so many different shapes and sizes that you are sure to find one which reflects your personality. This strip of wood is simply elegant, especially against the striped background. 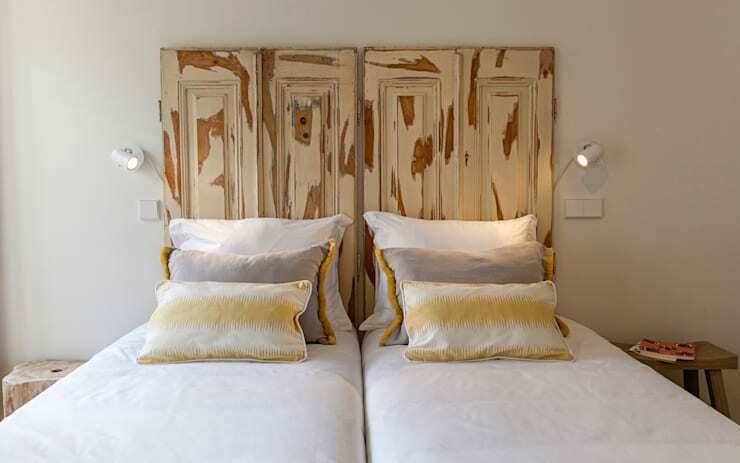 These old wooden doors make for a beautiful headboard! 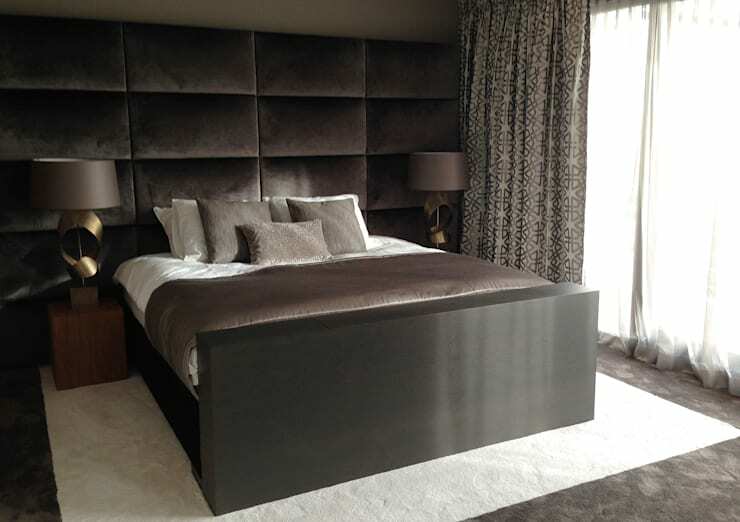 The richnes of this grey velvet headboard carries the design of the whole room. Also in wood, but with an alternative twist. 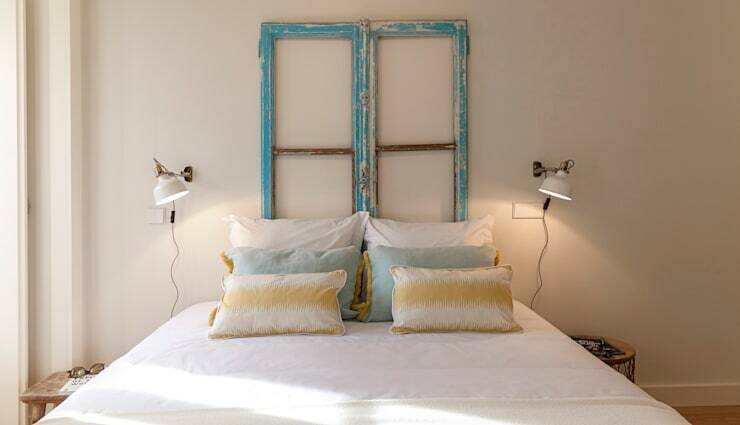 These simple repurposed window frames look just as lovely. This narrow strip of wood can be a beautiful addition. No bed is too small to have a headboard! 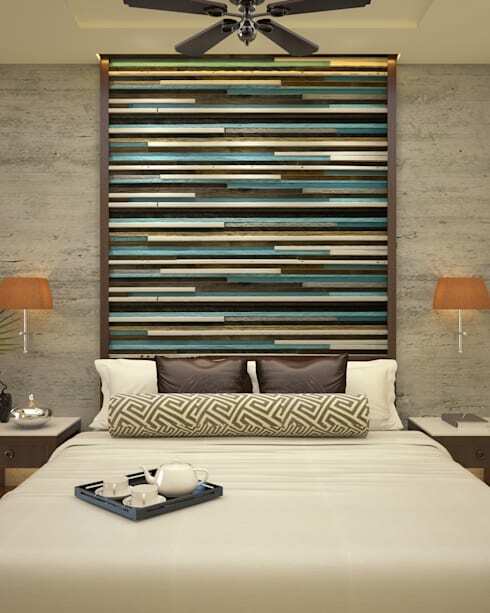 This mosaic headboard is exceptionally appealing and evocative. This room look royal with the legant curved headboard against a wall-size mirror. 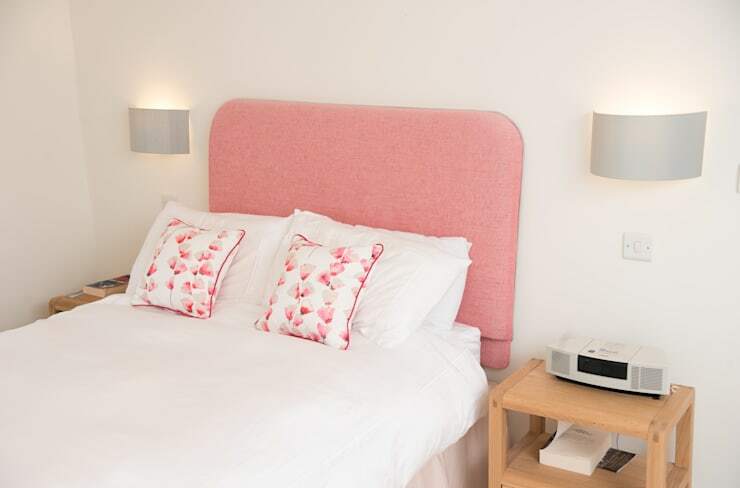 This headboard fits in very well with the colour scheme of the room. The intricate patterns carved onto this wooden headboard makes for an interesting texture. 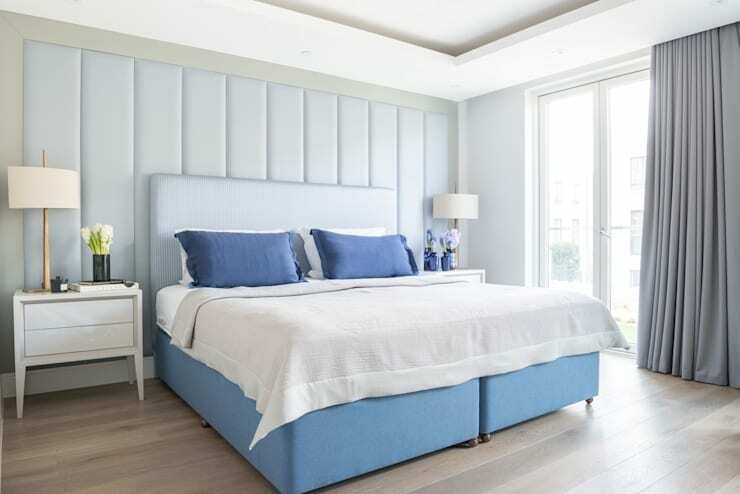 This upholstered headboard is perfect to create a sweet and subtle atmosphere. 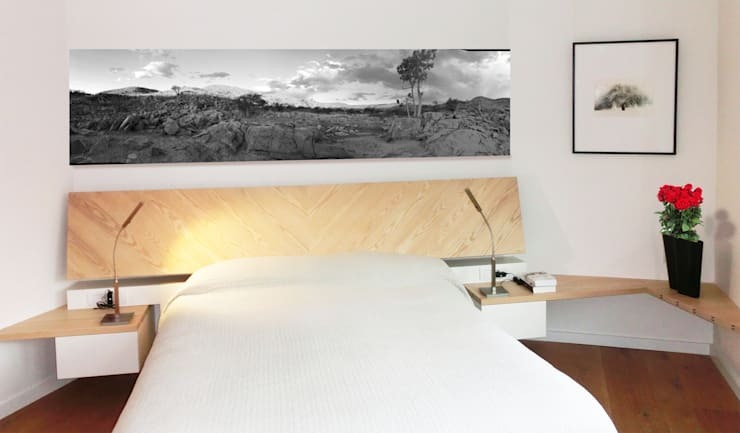 A headboard integrated into the frame of the bed can still be appropriate. 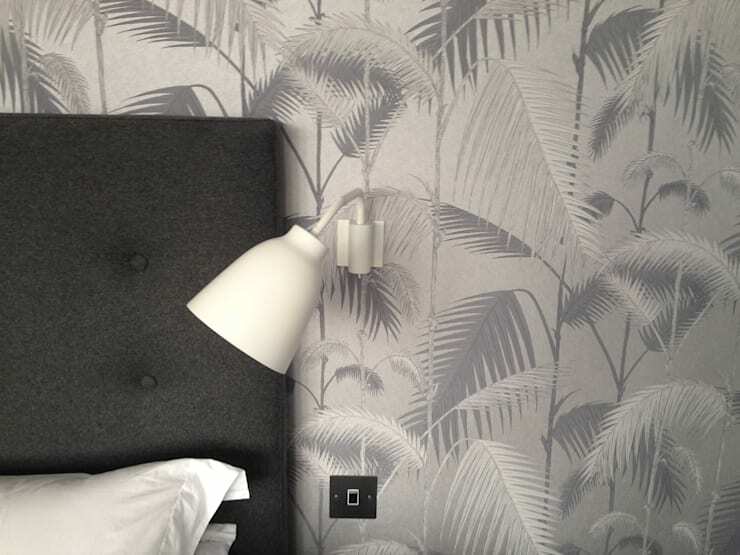 The soft grey fabric used for this headboard induces a luxurious feeling. 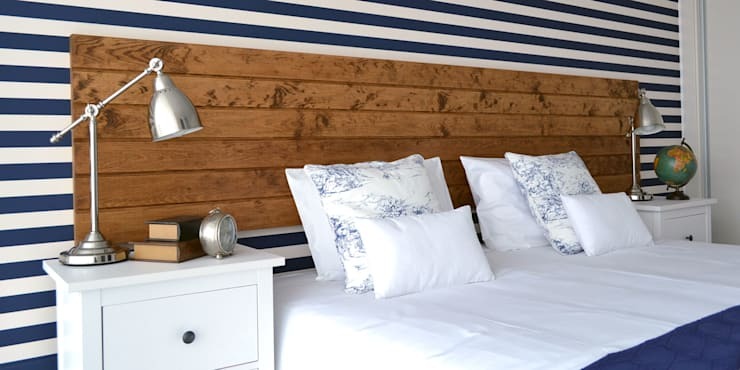 This wooden headboard and bedframe is inspired by the simple beauty of Scandinavian design. We hope that you could draw some inspiration from our list, and we encourage you to keep the bedroom energy going by taking a look at some: Spectacular bedroom wall ideas as well.